I have never been super creative when it comes to Halloween costumes, as a kid I tended to dress as a witch or something else where I could use clothes I already owned, so I always love other people’s crazy ideas. 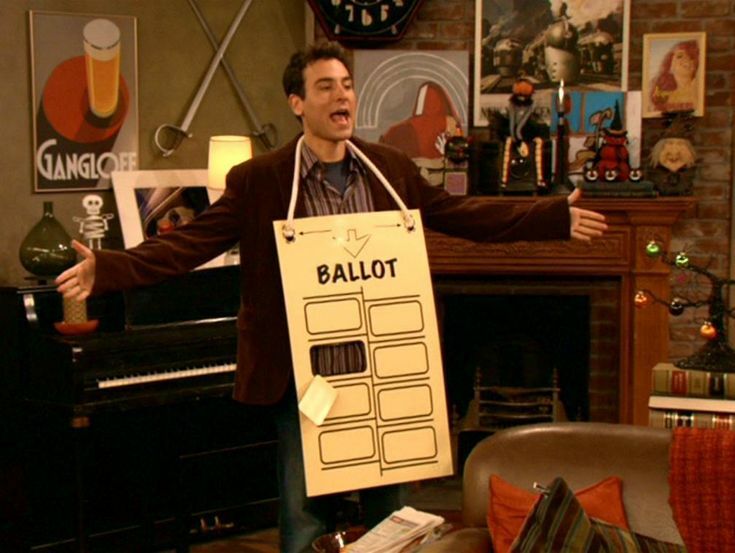 These are my favorite costumes worn by television characters. 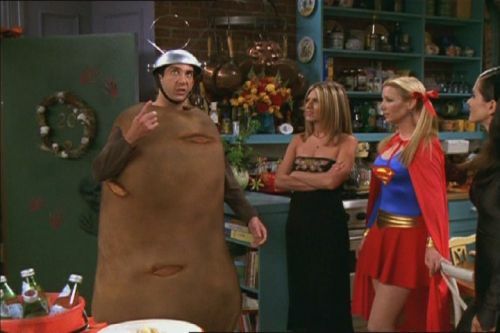 I mostly love that Ross is dressed as a giant potato. It is just so random. Costumes like this would never even occur to me. I love that he wore the same costume every single year to the same party hoping to run into the Slutty Pumpkin that he met once, even though his costume was no longer topical. Okay, so technically, Bert was dressed in the actual Iron Man costume, but Jackie’s misunderstanding of what costume he wanted is funnier. As best friends, they wore the same costume every year. I cannot imagine it was easy to maneuver but it is definitely creative. In general, I’m not a big Chang fan, but this was funny because when people thought he was dressed as Kristi Yamaguchi or Michelle Kwan, he accused them of being racist. For her first Halloween as a human, Xander tells Anya to wear something scary and this is what she comes up with. Anya being afraid of bunnies is a running gag throughout the series and it always makes me laugh. This costume is just so ridiculous, and kind of creepy, but actually a perfect fit for Penny and Max.